Art Gallery Cards: And Merry Christmas to YOU! Keep Reading For our Contest! And Merry Christmas to YOU! Keep Reading For our Contest! With thanks to SU Superman Demo, Bring King, today’s post is all about gift giving. Who doesn’t love that? 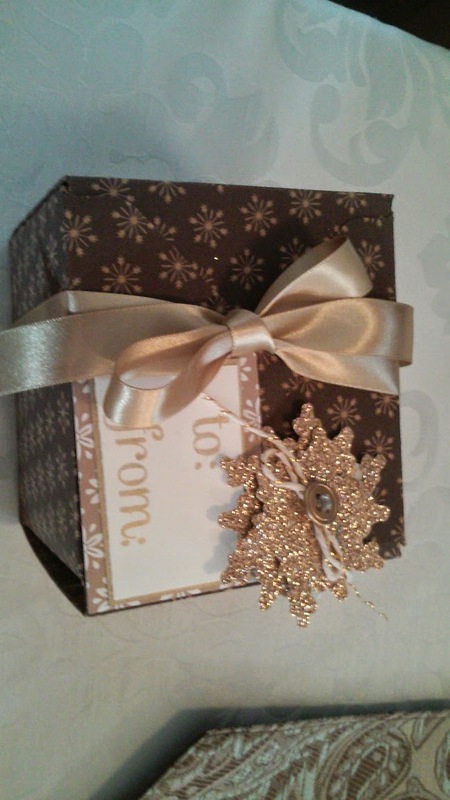 I have an idea for a great gift from you to you and a blog candy giveaway gift from me to you. Don’t miss a minute of it! Thanksgiving is over, and the Christmas shopping is in full-force. Even if you thrive on the hustle-and-bustle of shopping malls on Black Friday (I don’t), I have a grand idea that will keep you happy today and all year long: Create you very own bundle of Stampin’ Up! products at a HUGE discount – and then earn huge discounts on your next orders. That doesn’t sound real, but it is. 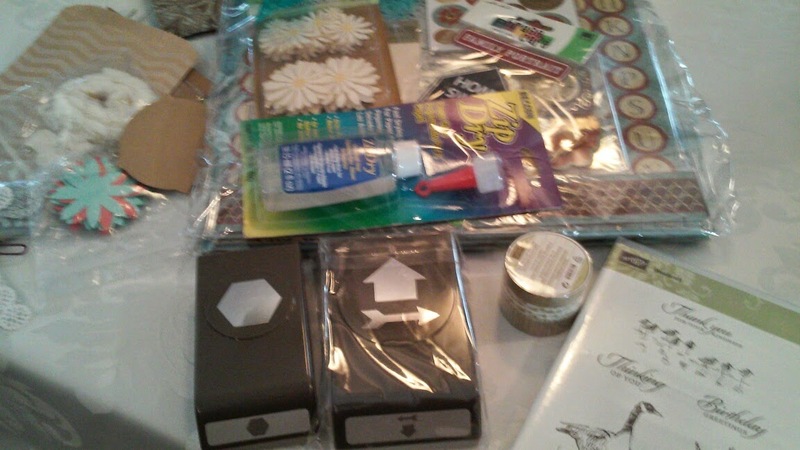 If I asked you to create a list of $125 of product you want from Stampin’ Up!, could you do it without hesitation, right? Of course you could! If I told you that you could receive ALL of that product for just $74.25 (plus tax), why would you turn down that offer? Perhaps you are skeptical of the bundle or worried that you won’t qualify? Perhaps you don’t want to sell Stampin’ Up! products to others? No matter. I want to share with you the truth about this promotion so you know you’ve made the right decision. Do it Your Way. “Ree, I don’t want to sell to other people. I love to stamp, but I don’t have time for parties right now.” Good news – that’s OK! Stampin’ Up! is filled with demonstrators who simply want a discount and don’t sell to others (I joined for the discount) – and I love my hobbyists. You can simply buy your supplies at a discount with no obligation to run a business. You Choose. Stampin’ Up! used to have a standard kit for new demonstrators. Now, you get to pick all of the items. You can pick from catalog items and online-only items (including discounted Clearance Rack items and Online Extravaganza items). You are in control – yippee! You Love Free Shipping. You don’t pay a penny for shipping on your Starter Kit – it’s absolutely free. Who doesn’t love that? Let me recap – $125 of product for $74.25 with free shipping – wowzers! You are Not Obligated. Here’s the catch – there’s no catch! I don’t believe it when I watch late night infomercials, so I understand why it’s hard to believe. You get to “kick the tires” until April 2015 with no obligation and no penalty for dropping. If you have $300 in sales or purchases during your first full quarter, then you will get to be a demonstrator for the next three months. Woo hoo! Discounts, discounts, discounts. You will earn a 30% discount on the first product order of $150 or more placed within 45 days. AND you benefit from a 20% discount on all purchases with lots of opportunities to earn more. Free stuff. As a demonstrator, you have lots of opportunities to earn free products. Sneak peeks. Demonstrators begin ordering from the Occasions (Spring) Catalog – and earning Sale-a-Bration products in early December. The start of a new catalog is ALWAYS a good time to be a demonstrator. Crazy Opportunity. If you ever decide you want to build a business, you have access to folks who can support you and inspire you. If discounts and amazing friends sound terrible to you, do nothing. If you like discounts and enjoy amazing friends, then CLICK HERE now! This offer only runs through December 2. I’d love to chat with you if you have questions. Complete the process, including verification process. Already signed up? Have a friend sign up for another entry=Each one =1 entry. The Drawing Will Be Held at 9 pm on Tuesday, Dec. 2nd! Thank you and Good Luck!! !